Thomas Jefferson University is set to replace Aramark as the anchor tenant at 1101 Market St.
Philadelphia-based global food services firm Aramark is reportedly considering moving its headquarters outside of Philadelphia once the lease on Center City's Aramark Tower, located at 1101 Market Street, expires in 2018, according to an exclusive report from the Philadelphia Business Journal. In a statement, Aramark spokesman Chris Collom said the company has been carefully reviewing its options to ensure that any potential transition from Philadelphia is ready in advance. The company, whose core market is in the United States and Canada, also operates in 19 other countries around the world. 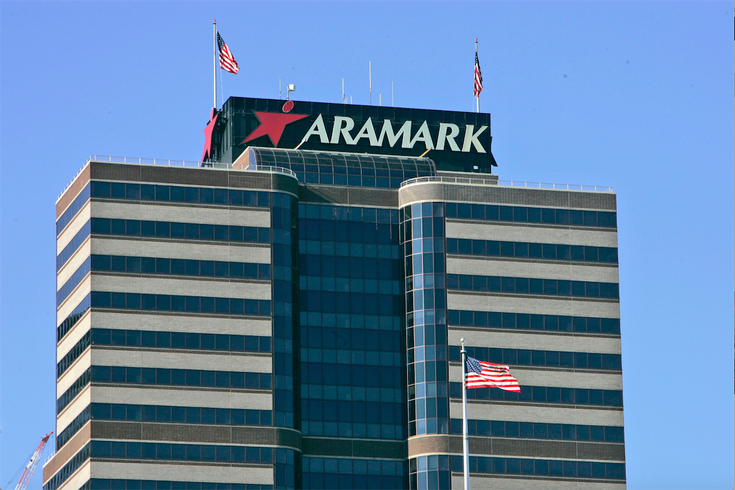 In Center City, Aramark occupies 350,000 square feet of the 32-story, 620,000-square-foot Aramark Tower, where it established its headquarters in 1985 as ARA Services. Previously, the company was headquartered at the former Curtis Publishing Co. building at 6th and Walnut streets. It now occupies an additional 50,000 square feet of the Wannamaker Building. Among other options, Aramark is reportedly exploring local possibilities in Center City, at the Navy Yard and in Camden. In the latter two locations, a building would have to be constructed to accommodate the size of the company, which provides food, facilities and uniform services to a range of clients across multiple sectors. In Philadelphia, it has served as the food provider for Lincoln Financial Field, the Wells Fargo Center and Citizens Bank Park, as well as last September's papal visit. Aramark reported $14.3 billion in revenue in the fiscal year ending on Oct. 2, 2015, and is among the largest public companies in the region.